Personalized stuffed elephant birth announcement. 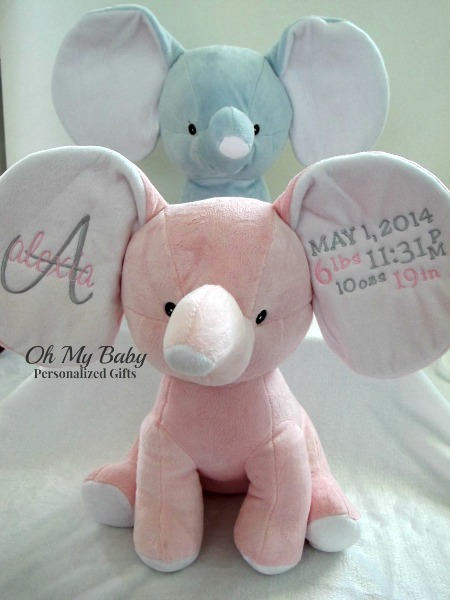 Adorable keepsake with baby's name and birth facts embroidered onto big floppy ears. Name design is large initial with lowercase name across the middle (as pictured). Can use any color scheme. Sizing, fonts and layout may change depending on information provided.